Situated in the foothills of the Pyrenees, Palmaris grows and sells by correspondance a variety of different palms from all parts of the world and suitable for every climate. But not only palms, we also offer agaves, yuccas, dasylirions, aloes, heliconias, banana plants, hardy cacti, aracae and exotic flowers and fruit trees. 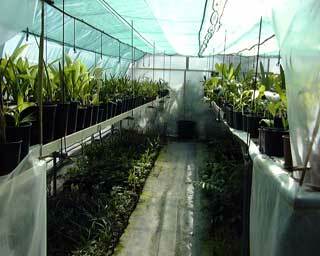 We have an acclimatisation unit for the palm plantlets grown here from seed. 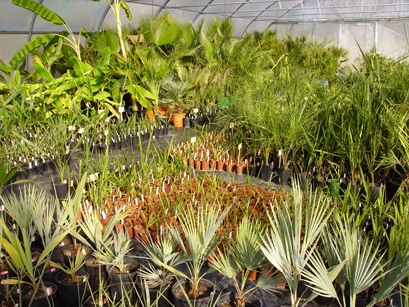 We offer young plants sown and raised under glass or in the open, together with a choice of mature plants, ready to be planted directly in the garden, including palms, agaves, yuccas, cacti and outdoor banana plants. 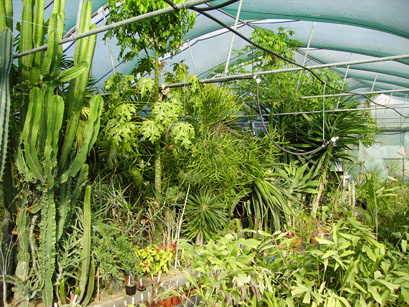 Our aim is to help you discover by experience and acclimatisation the great diversity of the world of plants. It is possible, depending upon which part of Europe you live in, to grow anything from 5 to 100 species of palm tree in your garden. Kept indoors, in a conservatory or small heated greenhouse, there are several hundred more species which you can keep and enjoy. Not all palm trees are gigantic, many species remain reasonably small. Nearly all are slow growing. All develop graceful, and sometimes coloured, foliage. 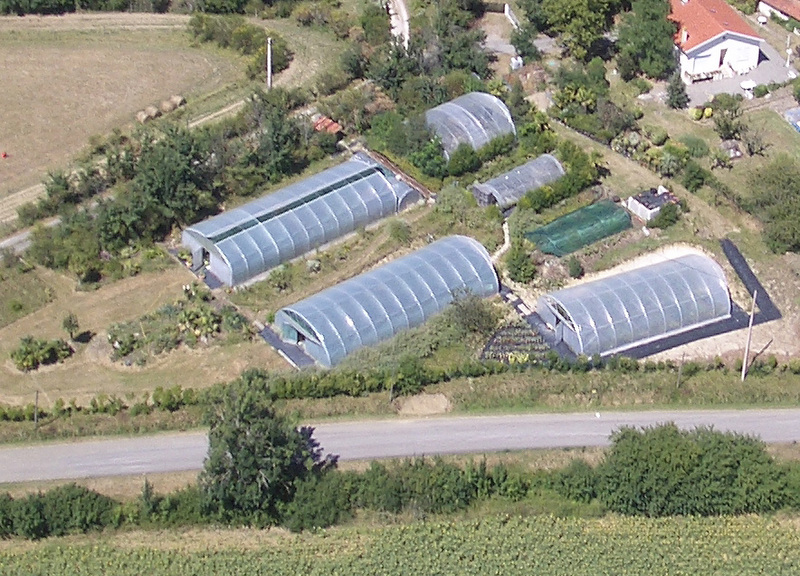 More than just a nursery, Palmaris would like to join with you in growing your plants and to share with you our pleasure and experience in this domaine. With our passion for tropical species we produce all kinds of interesting plants, of interest either for their means of culture, their rarety, their attractive foliage or unusual biology. 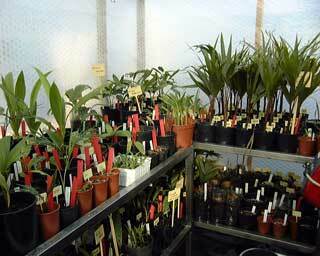 Plants which we take great pleasure in growing and propagating. (See our general list). 2006, Palmaris takes on board a 5th. 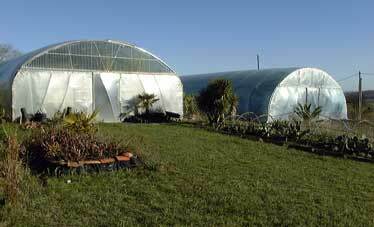 greenhouse dedicated to temperate palms. a number of plant fact sheets, updated regularly, give you growing tips and also the biology on the plants on offer (these fact sheets are accessible by the links next to the plant names in the general list). interesting observations on the effect of freezing on our collection and stock plants following the big storm during the winter 1999.
a section entitled "Palmophiles corner" which gives you all sorts of information on palm trees and their culture (Palms from Guadeloupe, seeds and sowing, diseases and parasites). links to other web sites of interest dealing with palms. You can collect plants in person from Palmaris but only by prior arrangement giving 1 or 2 days notice (Tel: (33 ) 631 67 13 35 or by email). We hope you enjoy our site and thank you in advance for any comments you have on our work. Palmaris lies in the middle of a 60 hectare farm itself run on biological principles (La Soulère, producing a well known biological cheese). 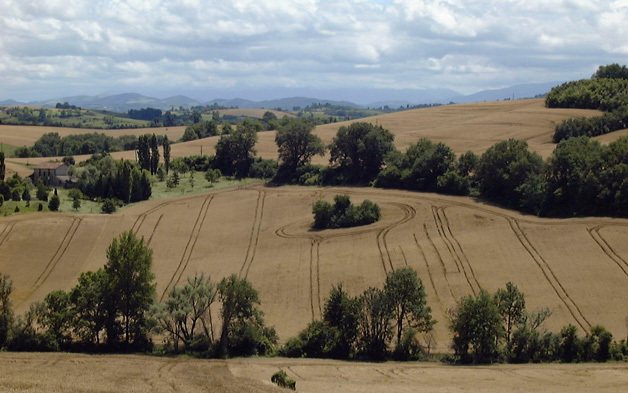 The 1 hectare meadow where we have established Palmaris is of high ecological value. 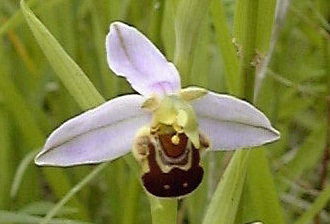 A dozen species of orchid are to be found growing between stands of acclimatised exotic plants, together with cornflowers and other meadow plants which have become rare. 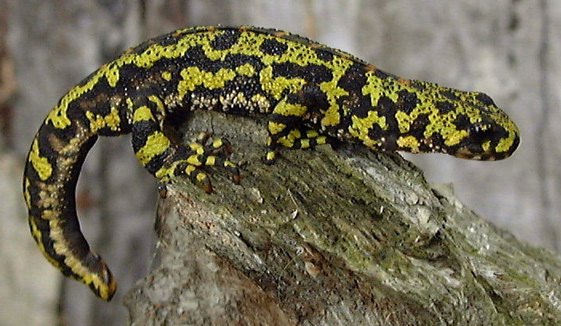 We see deer, foxes, hedgehogs, rabbits, hoopoes, little owls, green woodpeckers, natterjack toads, great crested newts and fire salamanders. 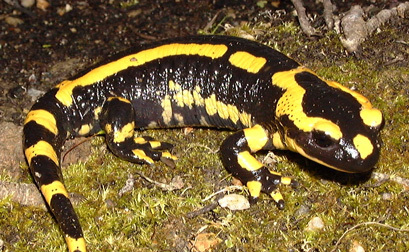 Among the invertebrates we see ascalaphe ant lions, purple emperor butterflies, Proserpina hawk moths, large and small peacock moths, stick insects, empusa mantises, stag beetles; all insects which are our neighbours according to the time of year. 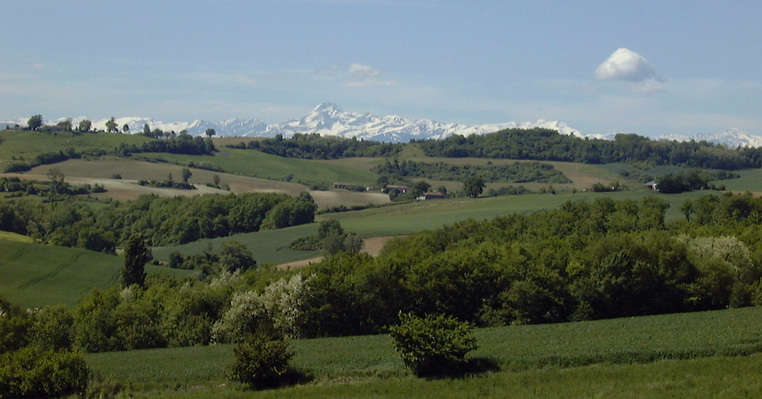 It's not surprising then that, here in the wide expanse of country with the Pyrenees in the background, we work with a maximum respect for the environment. We use very little pesticide, just out of season for outbreaks of red spider mite and against mealy bugs. 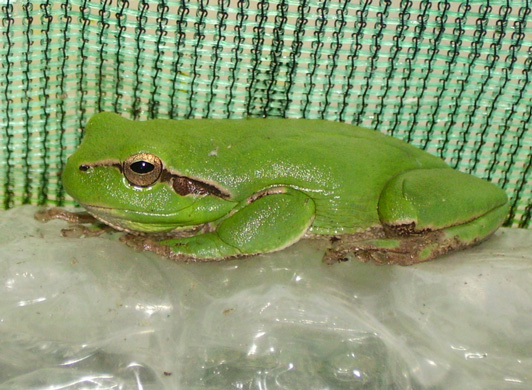 Not only this but tree frogs (Hyla meridionalis), etruscan pygmy shrews (Suncus etruscus) and theridiid spiders (small predatory spiders) abound in our greenhouses throughout the year. 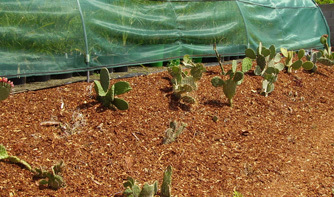 We use no herbicides, but just mulch the soil and paths with pine chippings and composted vegetable waste. 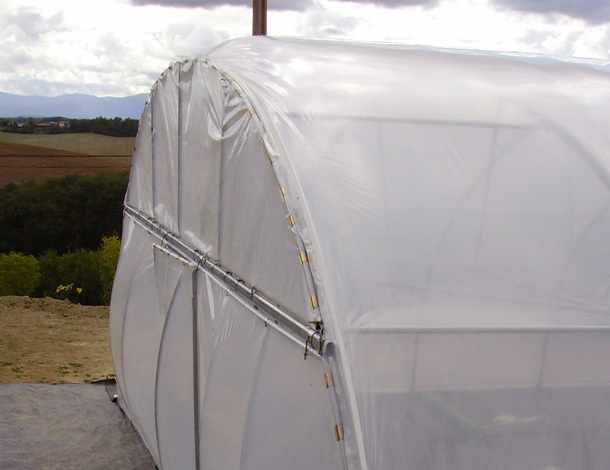 Our greenhouses have inflatable double walls which offer near perfect insulation during winter frosts which go as low as -8°C every year and -12°C every 3 or 4 years. 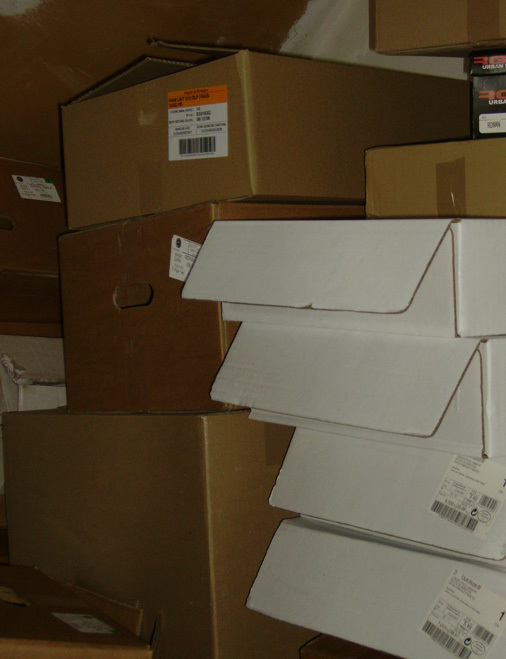 We have not succumbed to the use of cardboard boxes printed with our own logo for despatch of our products, instead we recyle clean second hand boxes. 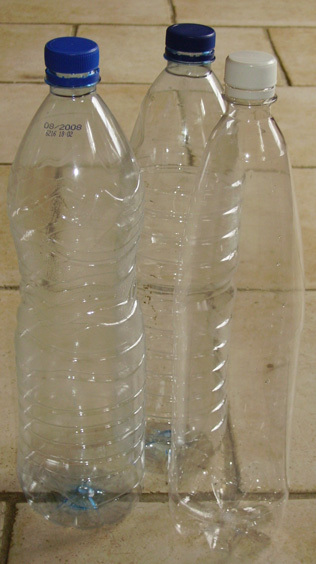 We use empty plastic mineral water bottles for light supplementary packing. 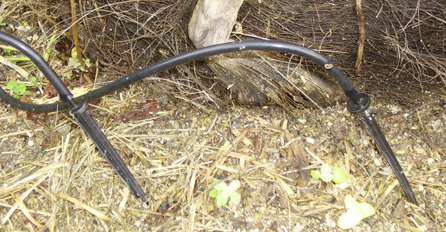 We use almost exclusively drip irrigation so as not to waste water which is becoming ever more scarce locally. Palmaris was founded and built without bank loans, totally self-financing. Careful work and management have contributed to making Palmaris a relatively ecological venture, but also a very economic one guaranteeing you some of the most competive prices on the market.